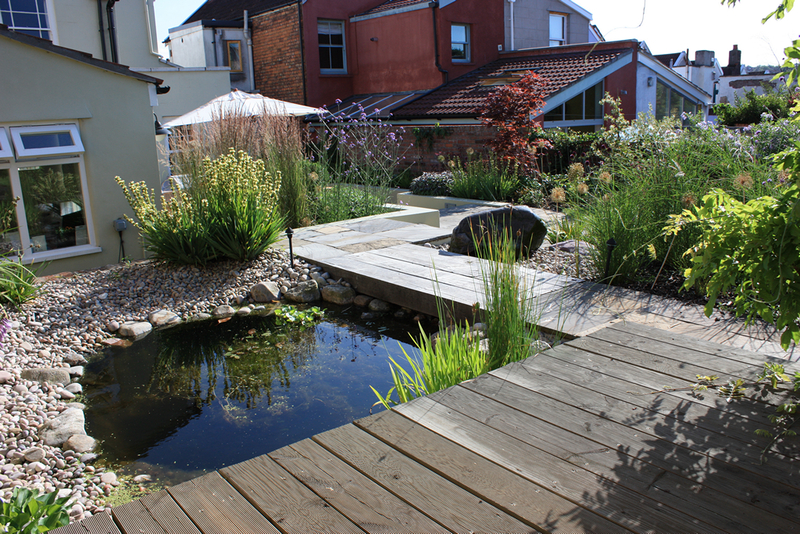 Medium sized Bristol back garden (10x50m) designed to work for both adults and children. 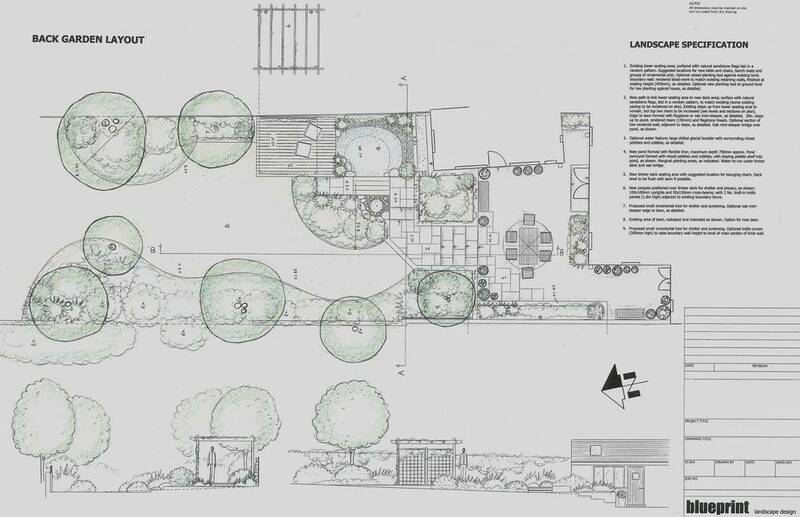 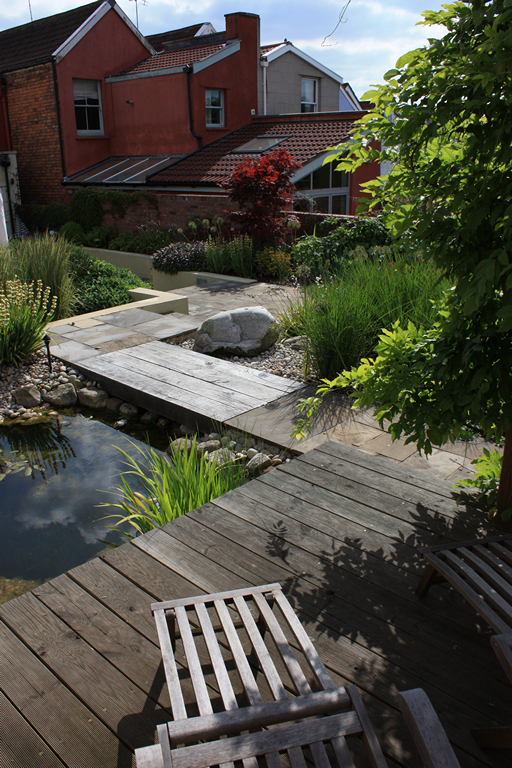 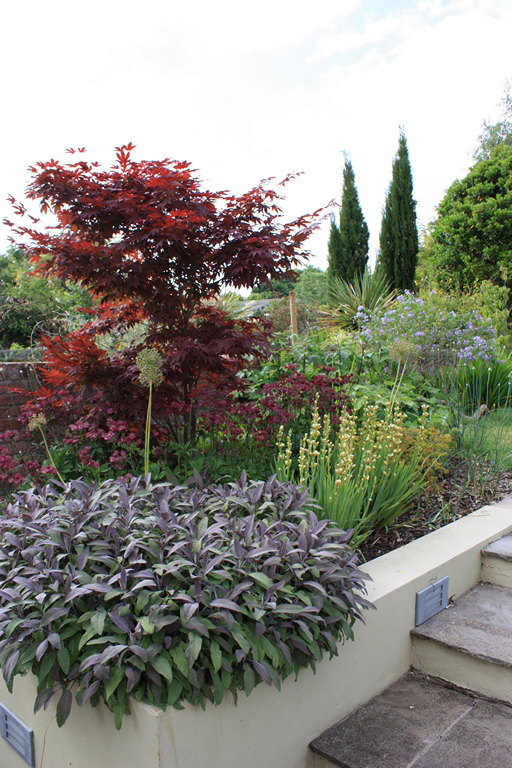 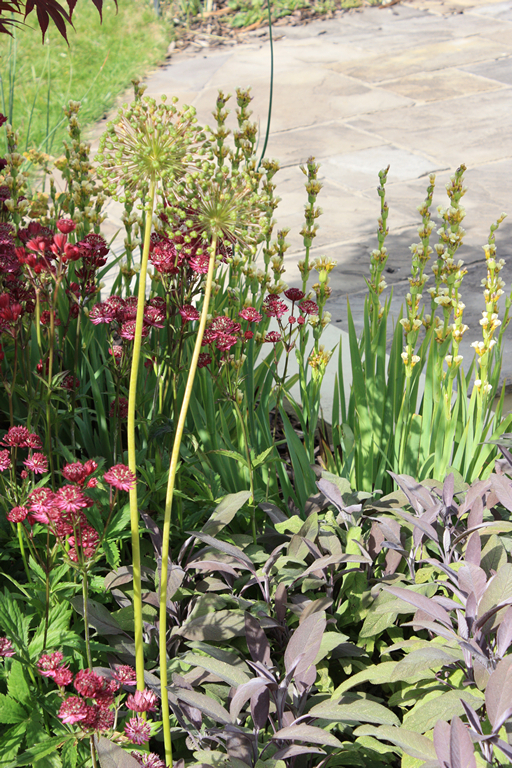 The layout has a bold underlying structure which is overlaid with naturalistic planting, providing year round interest and a habitat for insects and wildlife. 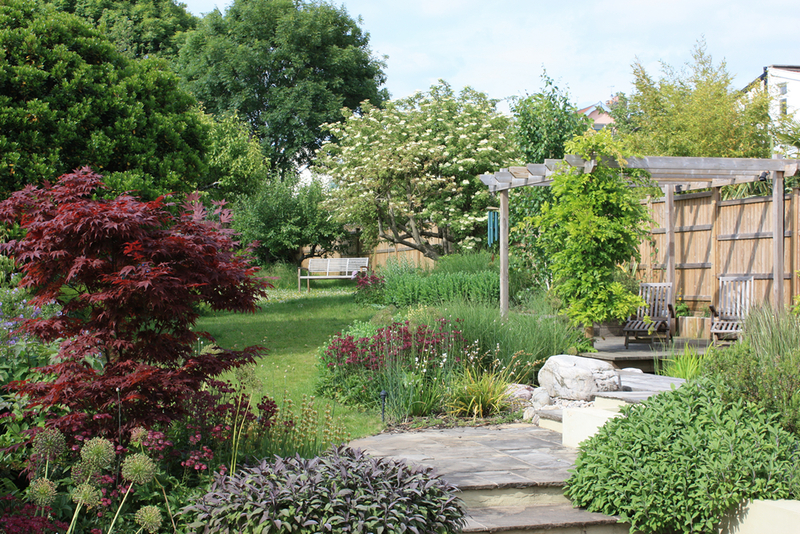 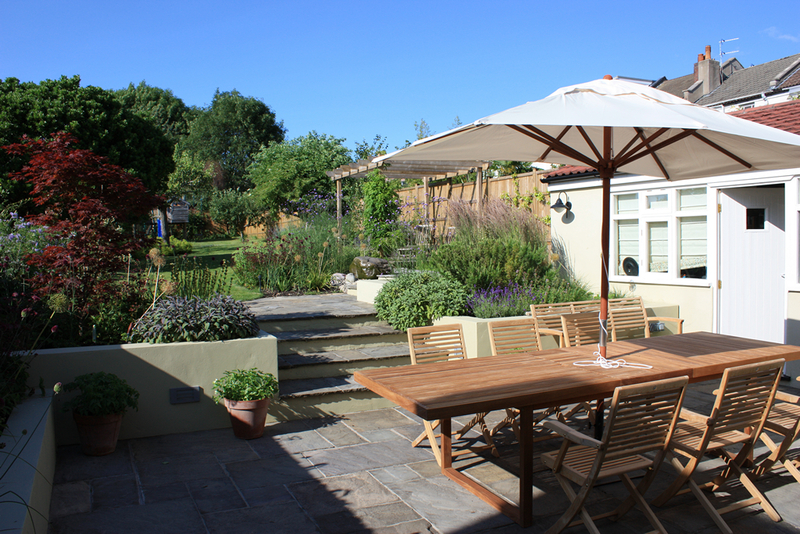 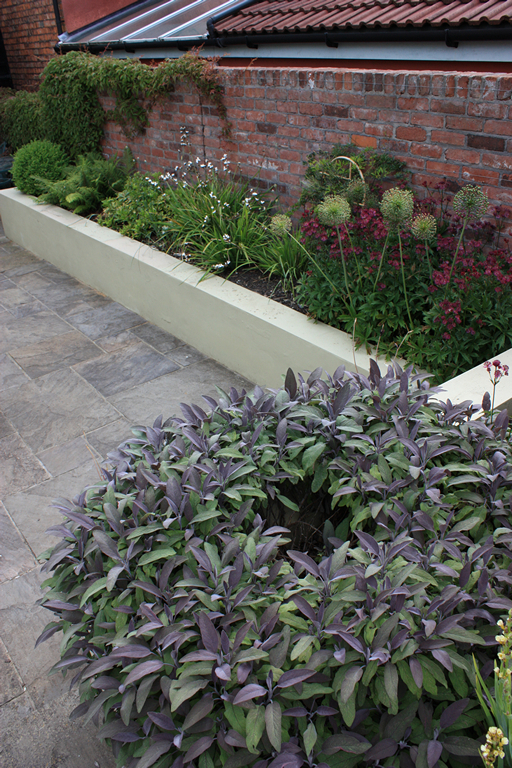 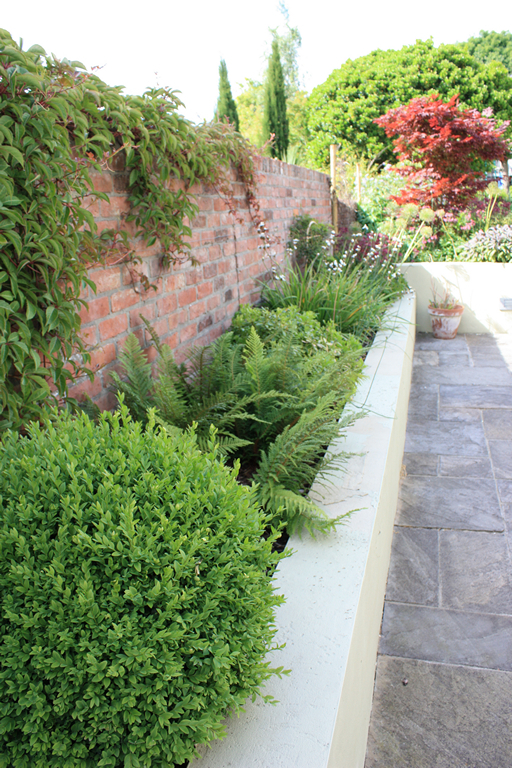 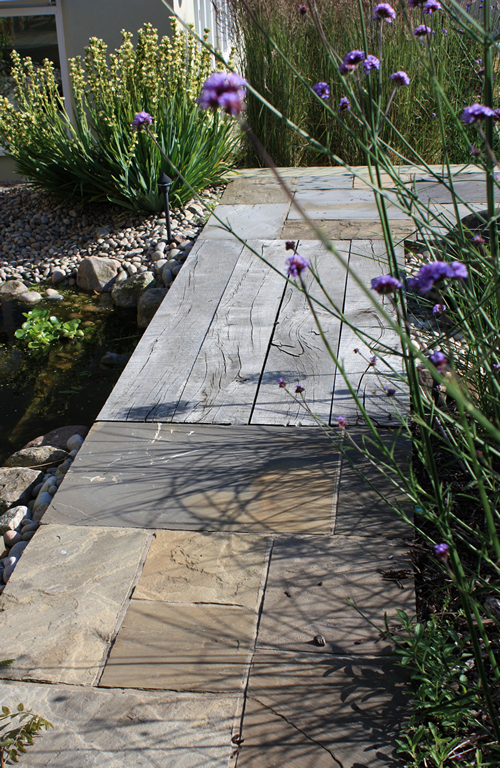 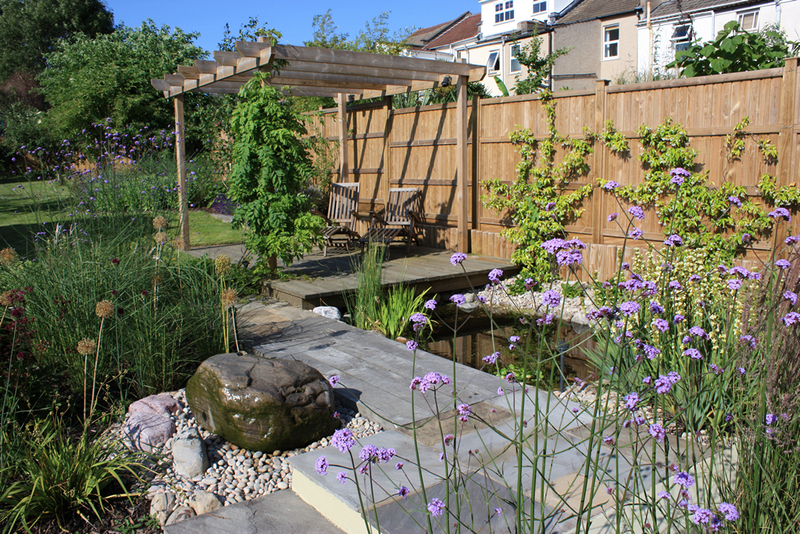 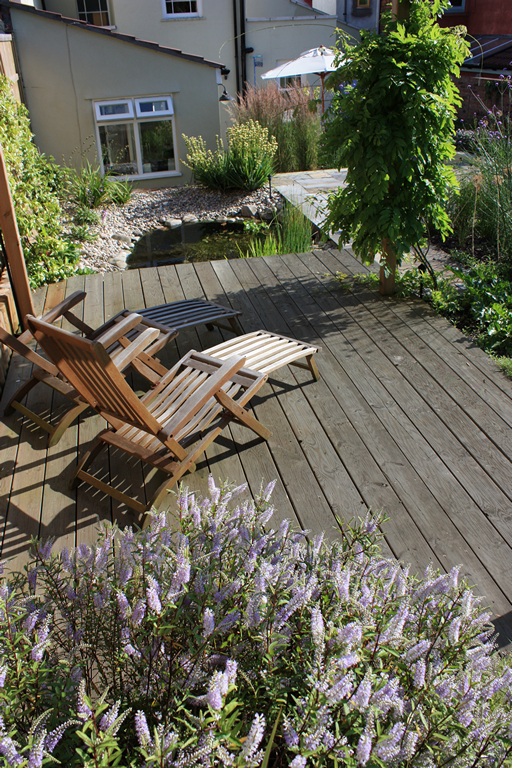 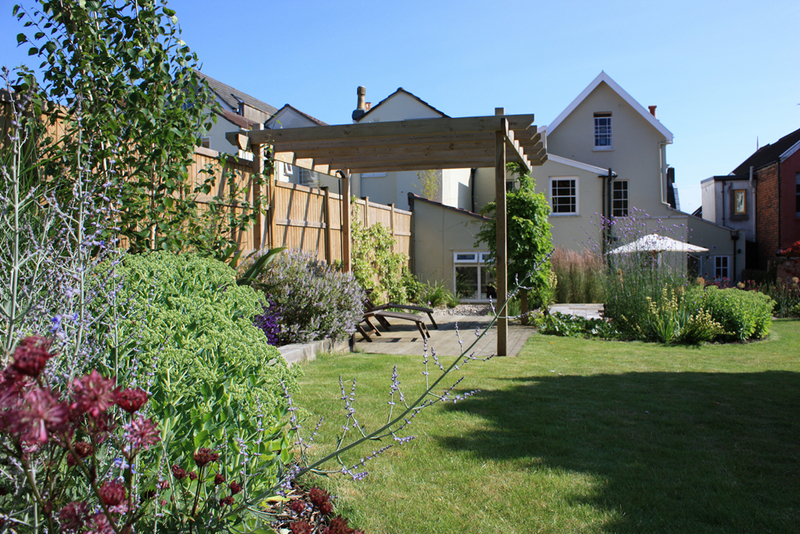 The garden is constructed over two levels and includes a large stone terrace for barbecues and outdoor dining, raised planting beds, a pebble-edged wildlife pool with adjacent timber deck and a shady pergola. 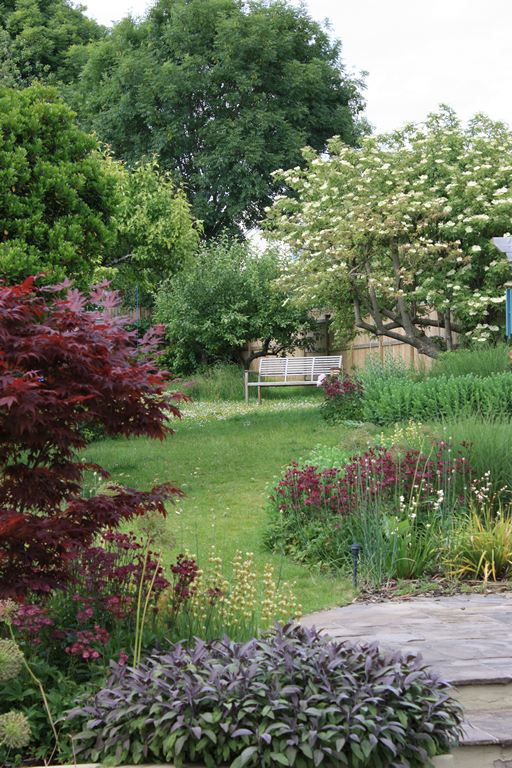 A curving lawn leads to a children’s play area at the rear of the garden.